Grizzly Lawn and Home LLC is conveniently located in Harker Heights Texas and has been proving lawn care services, lawn maintenance, landscaping, decks, pergolas, fencing as well as other home improvements and gardening, at Grizzly Lawn and Home LLC. We believe in proving quality professional services at prices that are very competitive, we cater to all budgets, and we make sure to customize a maintenance plan that will fit your need and makes your house stand out in your neighborhood. 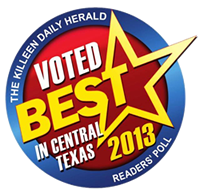 We have been voted BEST in Central Texas, We provide the same service quality to local Residents, single family homes, apartment complexes, neighborhood associations, housing communities, and any place you call home. We work to give you the curb appeal that beautifies and preserves your home or business. When you care about your outdoors, it shows in your yard. Grizzly Lawn and Home LLC can help you establish the outdoor tranquility you are seeking. Our trained crew members understand that your home or business is the center piece of your life and houses all that you love. We also share in the American Dream and love serving our neighbors and loved ones. We would honor the opportunity to beautify your lawn and help you create that place of serenity where you can enjoy your family and friends. We have only one goal in mind, to provide you with the very best possible service with the very best customer service at the very best price. We work extremely hard to develop the service plan that fits your budget and meets your outdoor goals. We serve customer in Harker Heights, Killeen, Nolanville, Copperas Cove, Salado, Belton, Temple, Waco as well as many cities and communities in Central Texas, just give us a call today and we will be glad to have you as one of our satisfied customers.